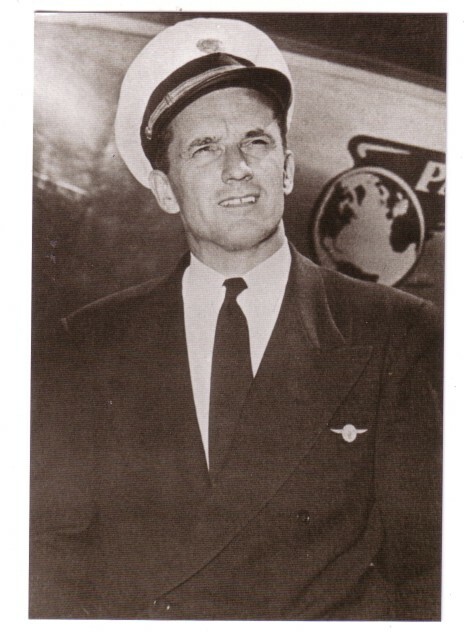 Pioneer air mail pilot, chief pilot of transatlantic flying boat carrier American Export Airlines, transatlantic piston engined record holder, USAF fighter jet pilot, married to Irish-American film star Maureen O Hara, owner with her of a Caribbean flying boat airline, tragically killed while flying for them and remembered in Ireland where his widow now lives. 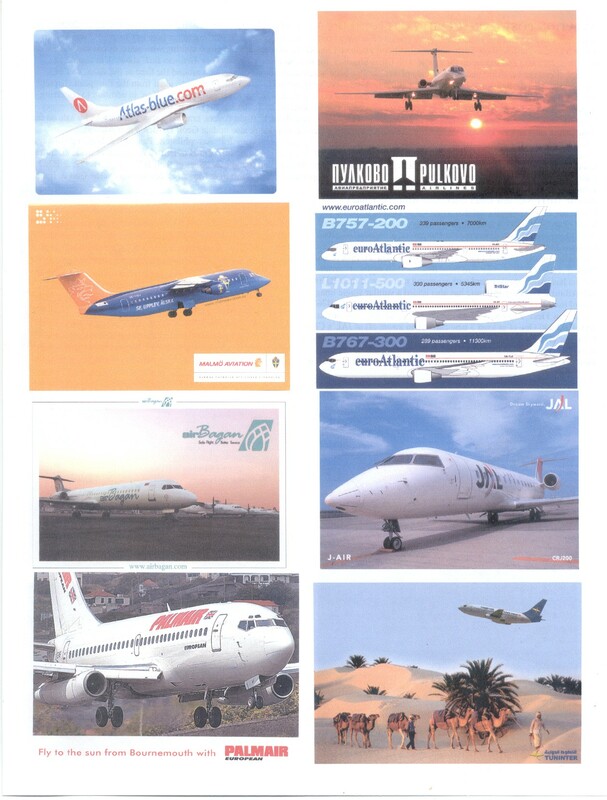 These are some essentials of the airline career of Charles (Charlie) Blair, below - a story well documented in contemporary and retrospective postcards. 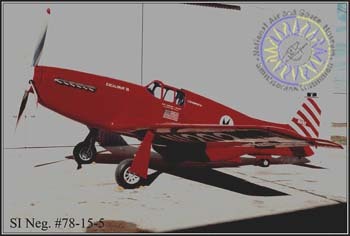 In 1951, using a P-51D Mustang named Excalibur (the same as the VS44). He set up a transatlantic piston engined flight record (New York-Heathrow) which still stands. Excalibur is now in the Smithsonian museum – non postcard picture below. For some years a commemorative model was on the roof on Queens building and it is believed to have been re-erected somewhere in the airport in the 1980’s – anything known by anybody ? The return flight was made over the pole to Fairbanks Alaska to test his theories on polar navigation and incidentally was the first solo polar flight. At a White House ceremony the following year, Captain Blair received the coveted Harmon International Aviation Award as "the world's outstanding aviator" from President Harry S. Truman. In 1953 he was commissioned a Colonel in the USAF reserve and spent up to 200 days per year on active duty during which he flew most front line aircraft including flights up to Mach 2. In 1956 he commanded the first non stop transatlantic jet fighter flight with 3 Republic F-84F s. In 1962, after leaving PanAm he worked with NASA on navigational issues for proposed supersonic transports. 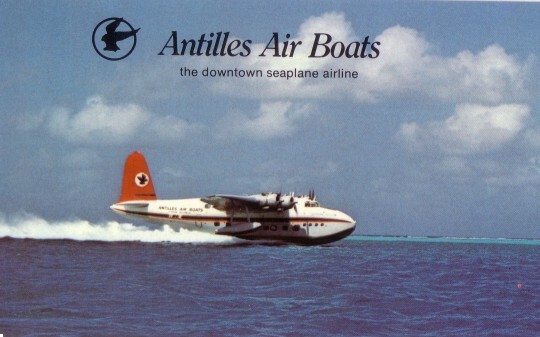 However he never lost touch with marine aviation and in 1964 he founded Antilles Air Boats, based at St Croix in the Virgin Islands, using a single Grumman Goose as on the cover card. 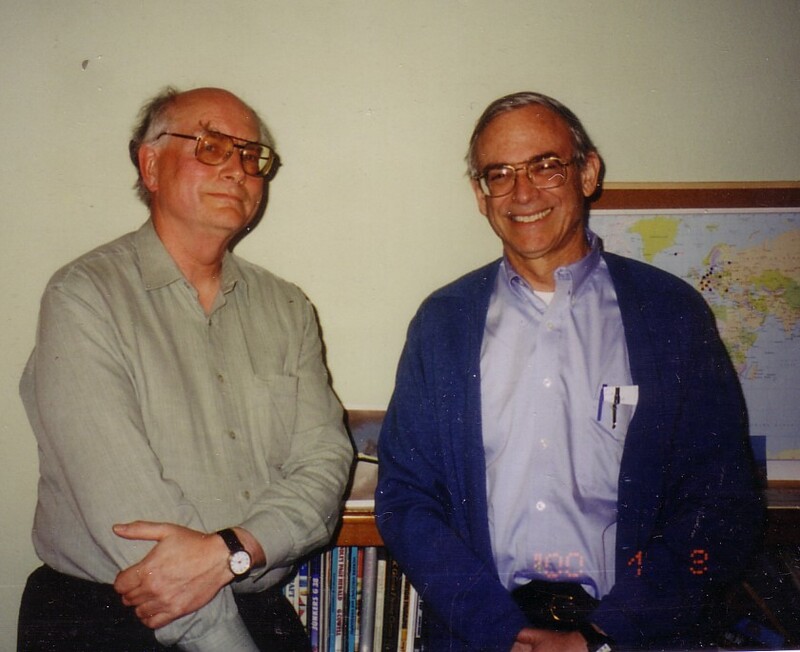 He had lived in St Croix since the early 60s. 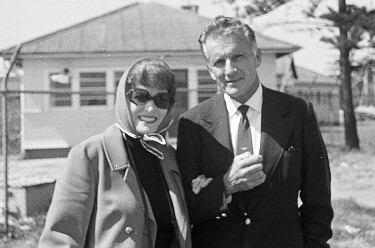 and was joined there by Irish American film actress Maureen O hara who he married in 1968. By 1971 he had 21 Gooses (Geese ?) and had also purchased one of the few remaining VS-44s from Avalon Air Transport in California in 1968. After flying it for a year it sustained damage from rocks but Blair arranged for it to be restored for museum preservation. The card below shows this VS44 when it was with Avalon. Its replacement was a Short Sandringham from Australia. 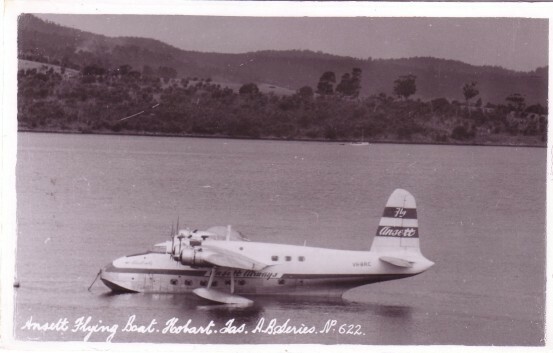 Sandringham VH-BRC shown at Hobart with Ansett on a card from Ash Bester RP of Tasmania was built in 1943 as RAF Sunderland and converted post-war for TEAL New Zealand as ZK-AMH. 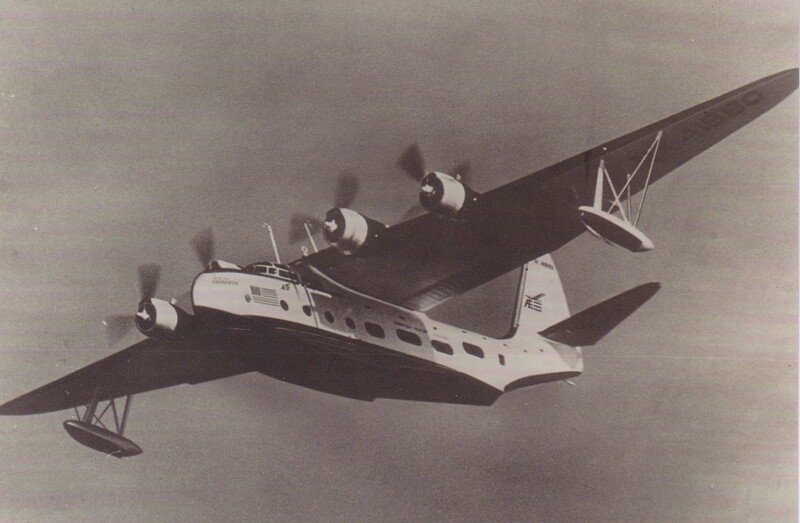 Sold to Barrier Reef Airlines in Australia 1950 it passed to Ansett in 1952. Charles Blair bought it for Antilles Air Boats in 1974 and named it Southern Cross as N158C, later VP-LVE, as on this company card. Not a postcard – Charlie & Maureen O Hare Blair at Sydney 1972 to collect Sandringham VH-BRC. 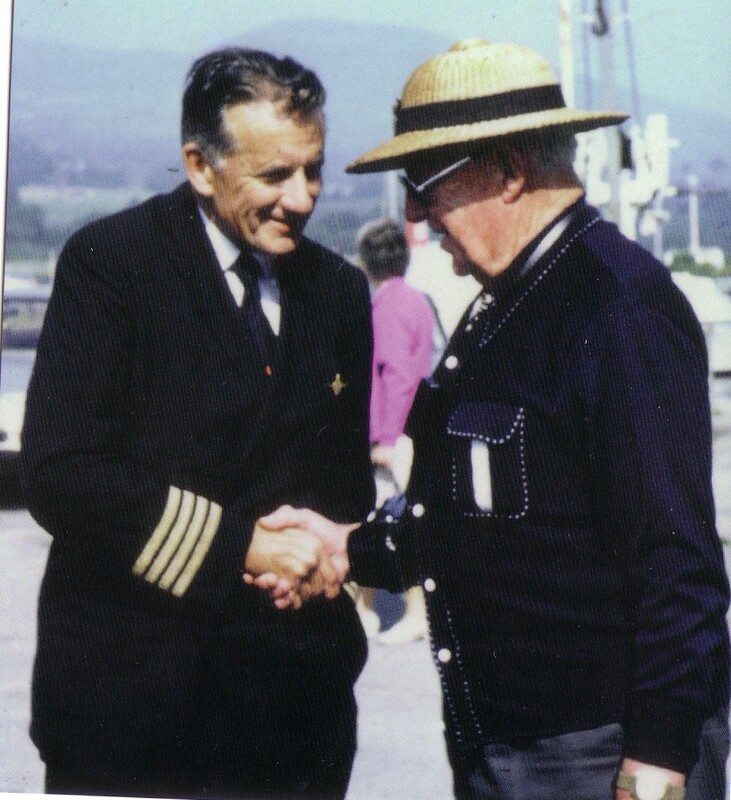 During this tour Blair met Imperial Empire boat captain Jack Kelly Rogers at Killaloe, Co Clare. 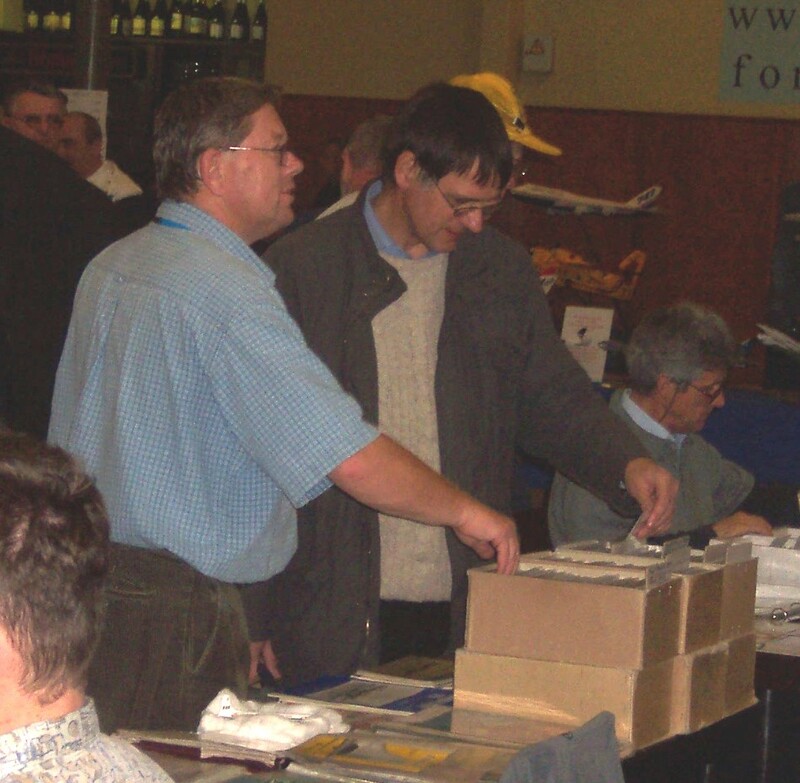 Their meeting is now featured on another of the Foynes museum cards. But only a year after his return to Ireland with the Sandringham in 1977, Charlie Blair was dead. He still flew services for Antilles Air Boats and in September 1978 he tried to fly one single engined after engine failure. His experience suggested he try to maintain flight by flying close to the water (as was the usual method of the Do,X, for example), but the Goose struck the water, cartwheeled and broke up. Maureen O Hara-Blair kept the company going for two more yeas but then sold up. 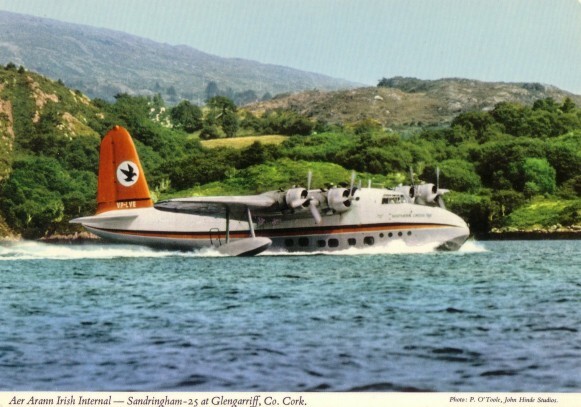 The Sandringham was bought by the UK Science museum and ferried back to the UK via Killaloe in 1980. It is on display at the Southampton Hall of Aviation. After their home on St Croix was destroyed by a hurricane in 1989 she moved to Ireland. 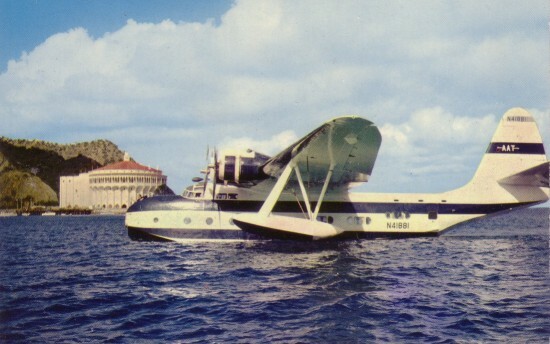 The same hurricane wiped out the fleet of Antilles successor Virgin Islands Seaplane Shuttle. Charlie Blair (Brigadier General Charles F Blair USAF) is buried in Arlington Military cemetery, Washington DC. Maureen O Hara still lives in Ireland and is patron of the Foynes museum. 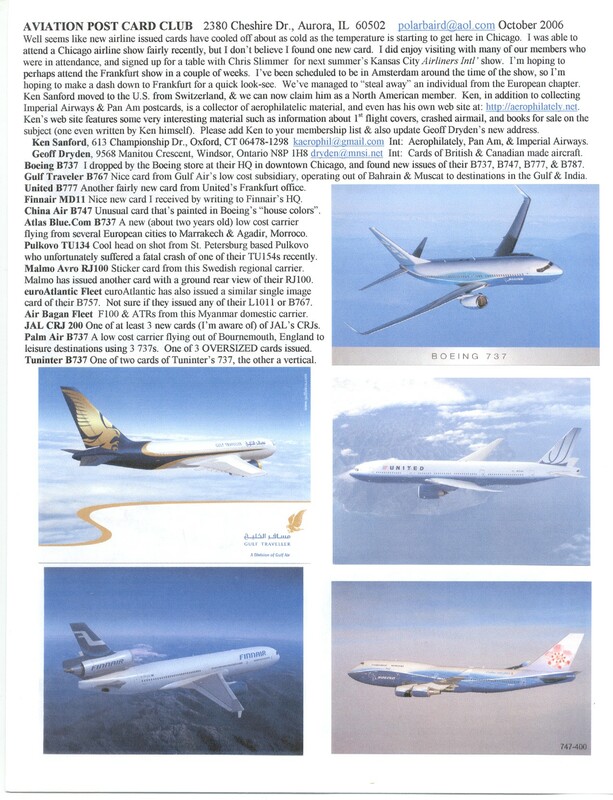 The selection of aircraft for the September article was a little arbitrary and some types were excluded on space grounds or for want of a good enough postcard image. Bill Peters, Maryland, USA wrote proposing the inclusion of the Boeing XB-15 bomber from 1935 and enclosing some photos that he had taken himself in Ohio in the 1930’s. Also a postcard image has become available on a Dutch card. 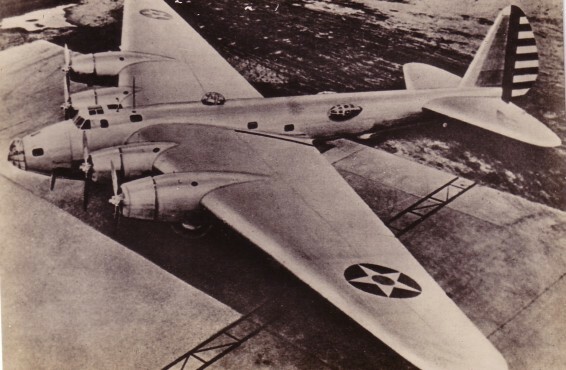 As can be seen it resembled a scaled up early B-17 but with a massive wing which dwarfed its 4 Pratt & Whitney engines. It was indeed underpowered for its all up weight of 70,700 lbs. Top is Bills photo, trimmed of sky, followed by the Dutch card. 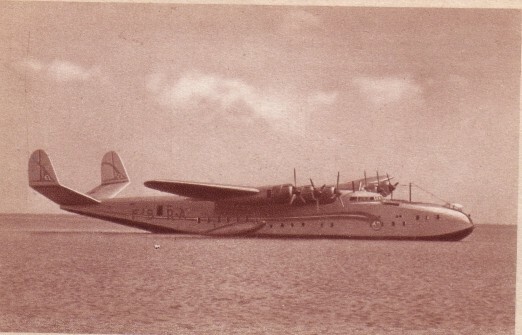 There are also two French flying-boat candidates, both from Latecoere, the 521 “Lieutenant de Vaisseau Paris” from 1935 and the 631, ordered 1938 but not flown until 1942. The 521 was intended to carry 70 on Mediterranean services or 30 transatlantic, where it was to be used to establish Air France on the North as well as existing South Atlantic services. Neither entered service due to the outbreak of WW2 during which all 5 built were destroyed. 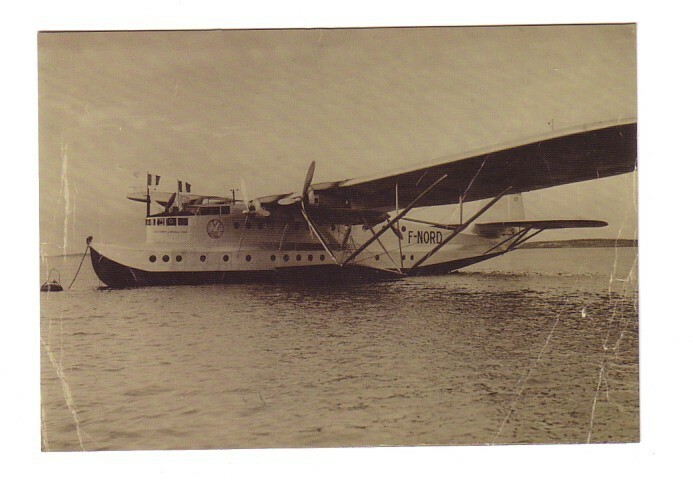 The first 521 F-NORD visited Foynes, Ireland on a survey flight in 1938 during which a photo was taken subsequently issued as a postcard by the Flying Boat Museum - complete with reproduction of bends on the original. The 631 carried 46 passengers transatlantic to the French West Indies during 1947-8 and was latery used on cargo services to West Africa by France-Hydro. Lastly another Russian, coming between the 1915 Ilya Mourometz and the 1958 TU-114. 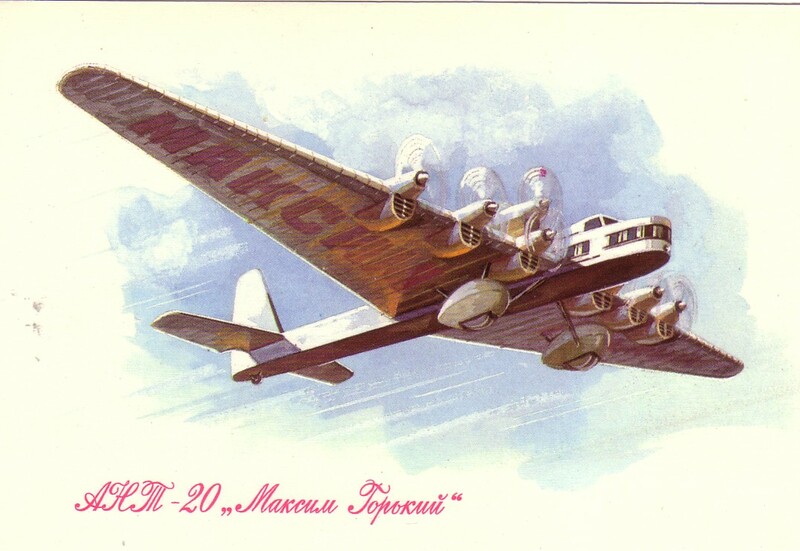 This is another Tupolev design from 1934, the ANT-20 Maxim Gorky. This was an exercise in Soviet propaganda, both in its very existence and its equipment which included a radio station, printing press and loudspeakers. It had 8 engines,6 on the leading edge and two pylon mounted above the fuselage. However it was destroyed in a collision with a fighter during a display over Moscow in 1935 which also involved a number of ground casualties. Weights have been quoted between 90,000 and 102,000 lbs. After the crash, money was raised by “public subscription” to built a replacement for airline service. This, the ANT-20bis was intended for 64 passengers and dispensed with the two pylon mounted engines. One may have entered airline service in 1940. I don’t intend this to be an everlasting series, so anything about this “giant” will be in the next What Do You Know. My guess is the US Barling Bomber from the 20s. Perhaps Bill Peters has the answer again ? 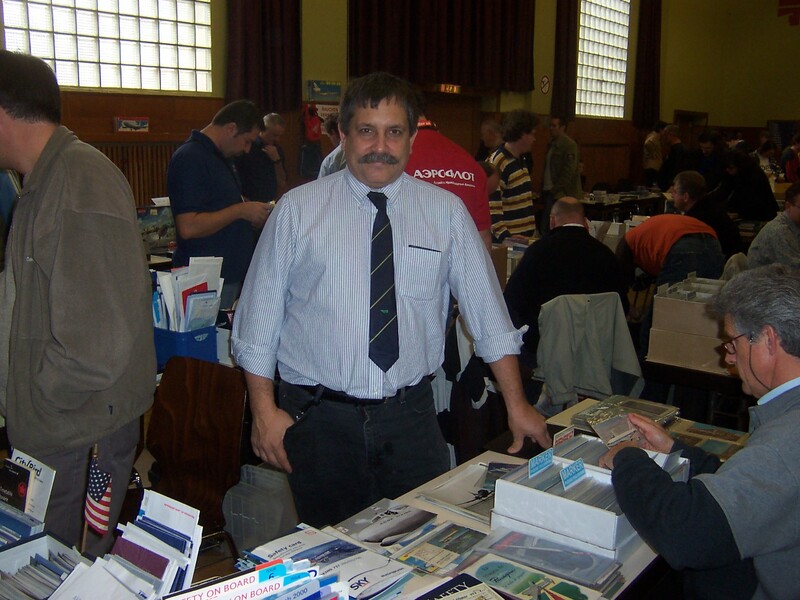 Next Chris Slimmer, organiser of Airliners International 2007, Kansas City MO, USA, taken at Frankfurt 2007. 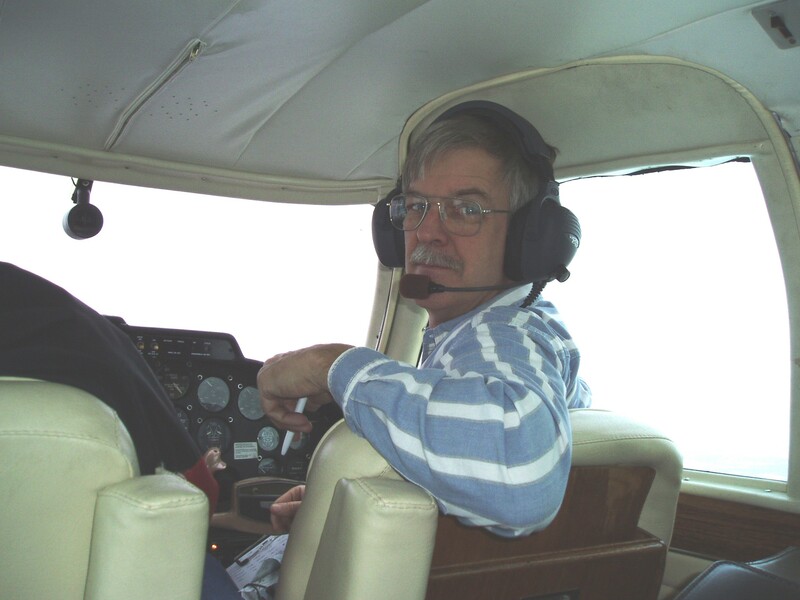 Finally Bill Baird in the right hand seat of his Cessna 310 somewhere over the USA.